When it comes to dual occupancy and townhouse development in Melbourne, land values are such that space is always at a premium. So in order to gain the best possible outcome from a given site, the design must be customised perfectly to the available space. Taking into account that particular sites unique constraints and opportunities. DSB specialise in dual occupancy/multi-unit design & town-planning permits. We spend every day at our Melbourne office devising new ways to extract more function from less space. A dual occupancy, duplex or townhouse project designed by a standard design firm, whose main business is dealing with “normal sized” homes is unlikely to maximise your sites potential, simply because they are not specialists in dual occupancy townhouse design. Also, “Cookie-cutter” designs from volume builders by nature, cannot exploit a sites potential as well as a custom design. Without a fully tailored duplex/townhouse floorplan, the end profit and general functionality of a dual occupancy project are likely to be lower. Over the years, our best results (i.e. : our Melbourne duplexes and townhouses which have sold at record prices for their suburb) are the projects which have departed from the norm, and pushed new ideas in terms of floorplan and external aesthetics. 3a Haynes St in Highett (Melbourne) is a good example of an edgy DSB duplex design, which broke the price record for a dual occupancy townhouse in that suburb. Conversely, there is a distinct lack of dual occupancy and multi-unit dwellings selling at record prices which were of “cookie cutter”, or non-custom design. At Design Subdivide & Build, we understand how to maximise your construction dollars. 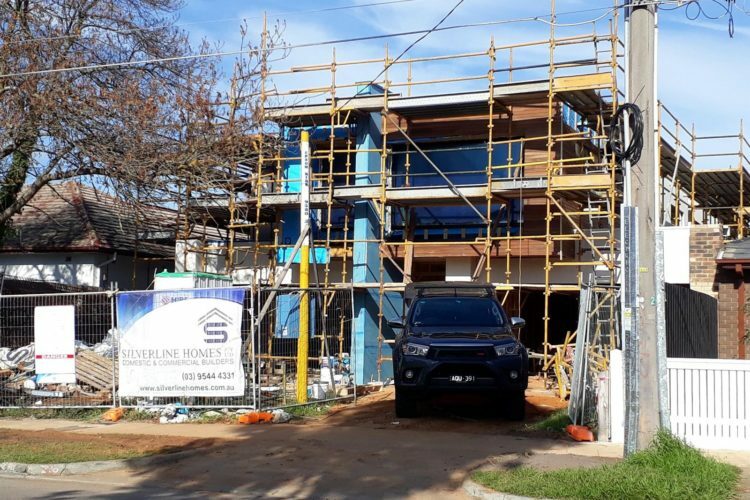 With experience in a wide range of duplex, townhouse and dual occupancy projects across Melbourne, our practical building knowledge translates into duplex/townhouse designs which are efficient to build. This means lower construction costs for you, the developer. Are highly functional and look fantastic! Whether you’re building for owner occupation, rental or sale, a DSB design consultant will take a detailed brief of your needs if an owner-occupier, and project objectives if the duplex or townhouses are for sale/rental. A fully dimensioned and detailed floorplan will be sketched by hand in front of you as the design brief meeting proceeds. Once you’re happy with the sketched concept, Design Subdivide & Build will draft up your plans in Revit (3D design software). You can, of course, make refinements to the design thereafter to make sure they are “just right”. Our ultimate aim is to create the very best dual occupancy/multi unit design possible for our client’s specific site, this means starting with a blank sheet of paper and creating a custom design. Why not drop by our Melbourne office for a chat? We would love to hear about your vision for your next dual occupancy/multi-unit project.